I have been informed that Surrey County Council Highways will be closing Sturt Road, Mytchett / Frimley Green for the drainage investigation and repair works. Letters were delivered last Friday to residents but there has since been a change to the working times and a 24hr closure will be in place. The licence the works team have is for 4 days but it is hoped the full road closure will only last for 24 hours. Of course I can not give a guarantee. 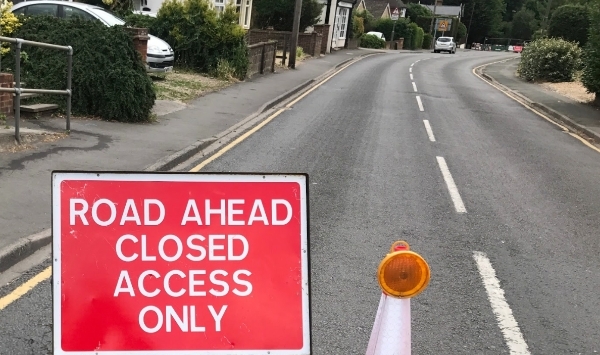 The decision to close the road for 24hrs is due to the extent of the works taking place and the time frame Surrey County Council have to complete them. Works are scheduled to start on 13/11/2016 under a 24hr closure. Sometimes SCC plans have to change, often due to bad weather or problems on other works in the same programme which can have a knock on effect. The leaflet providing more detail on these works can be downloaded here.